Spread the good vibes with this sticker. 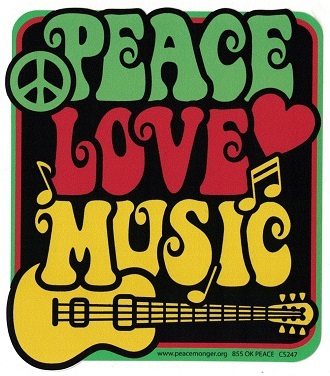 It's all about Peace, Love, & the Music. Sticker measures almost 6" tall and would look great on a car, locker, guitar case, tool box, etc.